1-Mary Ann Bleathman, daughter of Richard Bleathman and Catherine Cassidy, was born on 21 May 1845 in Brighton, Tasmania and died on 16 Nov 1914 in New Norfolk, Tasmania at age 69. Mary married William George Blackwell, son of convict ↑Joseph Blackwell and Hannah Catherine Toomey (also known as Ann Timmy), on 10 Oct 1864 in New Norfolk. 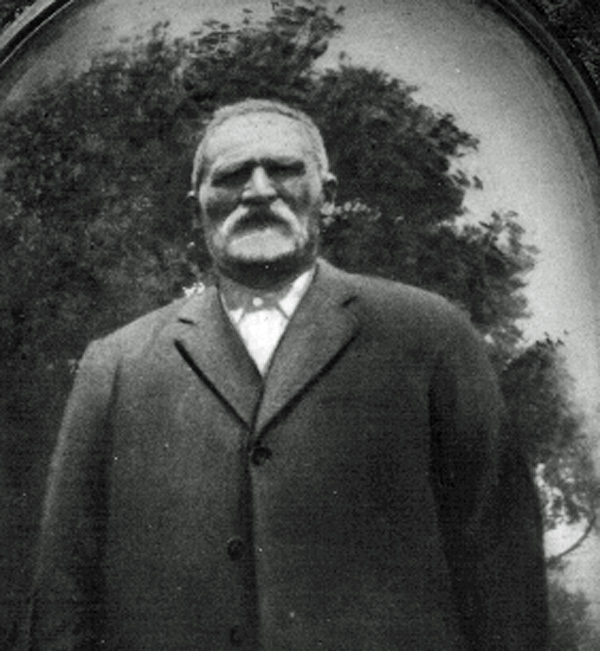 William was born about 1839 in Hamilton, Tasmania and died on 24 Nov 1928 at home, Askrigg, Gretna, Tasmania aged about 89. They had 11 children: William Edward, George Richard, Eliza, James Henry, Ada Harriett, Georgiana, Elizabeth Mary, Arthur Albert, Walter John, Louisa and Alice. 2-William Edward Blackwell was born on 17 Aug 1866 in Hamilton, Tasmania. 2-George Richard Blackwell was born on 21 Jul 1868 in Hamilton, Tasmania. 2-Eliza Blackwell was born on 26 Jul 1870 in Hamilton, Tasmania. Eliza married Edward James Walker, son of George Thomas Walker and Elizabeth Bleathman (sister of Mary Ann above) at New Norfolk on 15 Aug 1891. 2-James Henry Blackwell was born on 8 Mar 1874 in Hamilton, Tasmania. 2-Ada Harriett Blackwell was born on 24 Jul 1876 in Hamilton, Tasmania, died on 22 Jul 1941 in Hobart, Tasmania at age 64, and was buried in St. Mary's Church of England cemetery, Gretna. Ada married Albert James Cocker, son of James Cocker and Alice Matilda Richards, Albert was born on 13 Aug 1888 in Deloraine, Tasmania, died in Dec 1957 in St John's Park, New Town at age 69, and was buried on 24 Dec 1957 in Cornelian Bay, Church of England, D323. Ada had a relationship with William Aaron Patience, son of William Patience and Nancy Harrison and they moved to Victoria. 1-Aaron Patient↑ was born on 26 Jun 1818 in Hatfield Heath, Essex, England and died on 30 Sep 1902 in Bothwell, Tasmania at age 84. Aaron was a convict, arriving on the Ansom in 1843. Aaron married Convict Ann Macavine↑ on 9 Nov 1850 in Bothwell, Tasmania. Ann was born in 1824 in Fermanagh, Ireland and died on 1 Nov 1901 in Bothwell, Tasmania at age 77. She was a convict, arriving on the Tasmania (2) in 1845. They had five children: William, Mary Ann, Eliza, Ellen and Aaron John. 2-William Patience was born on 16 Jan 1852 in Bothwell, Tasmania and died on 22 Aug 1930 in Bothwell, Tasmania at age 78. William married Nancy Harrison on 7 Jul 1879 in Bothwell, Tasmania. William was a widower and labourer when he married Nancy. She was a shepherd’s daughter. Nancy was born on 6 Jul 1855 in Bothwell and died on 15 Feb 1906 in Bothwell, Tasmania at age 50. They had seven children: Sarah, Ellen, William Aaron, Jane, John James, Elsie Lillian and Arthur Harold. 3-Sarah Patience was born on 6 Nov 1880 in Bothwell, Tasmania and died on 11 Dec 1954 in Devonport, Tasmania at age 74. Sarah married Walter William Howard on 29 Jun 1903 in Bothwell, Tasmania. 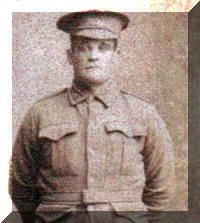 Walter was born on 4 Jun 1871 in Longford, Tasmania and died on 14 May 1943 in Devonport, Tasmania at age 71. 3-Ellen Patience was born on 19 Jan 1883 in Bothwell, Tasmania and died on 30 Aug 1962 in Railton, Tasmania at age 79. Ellen married Francis Patrick Regan on 30 Jul 1902 in Queenstown, Tasmania. Francis was born in 1873 in Glamorgan, Tasmania and died on 29 Jun 1929 in Gormanston, Tasmania at age 56. 3-William Aaron Patience was born on 20 Apr 1885 in Bothwell, Tasmania, died on 12 Jul 1958 in the Alfred Hospital, Melbourne, Victoria at age 73, and was buried on 14 Jul 1958 in Springvale Crematorium Victoria. William married Clara Ellen Pilcher, daughter of John Pilcher and Esther Christiana Richards, on 8 Feb 1916 in Sydney, New South Wales. Clara was born on 3 Aug 1886 in Hamilton, Tasmania, died on 19 Feb 1969 in Ettalong Beach, New South Wales at age 82, and was buried in Point Clare Cemetery, Gosford, New South Wales. 3-Jane Patience was born on 3 Jul 1887 in Bothwell, Tasmania and died on 18 Mar 1958 in Zeehan, Tasmania at age 71. Jane married Richard Henry Finn. Richard was born on 27 Dec 1865 in Esperance, Tasmania, Australia and died in 1948 in Zeehan, Tasmania at age 83. 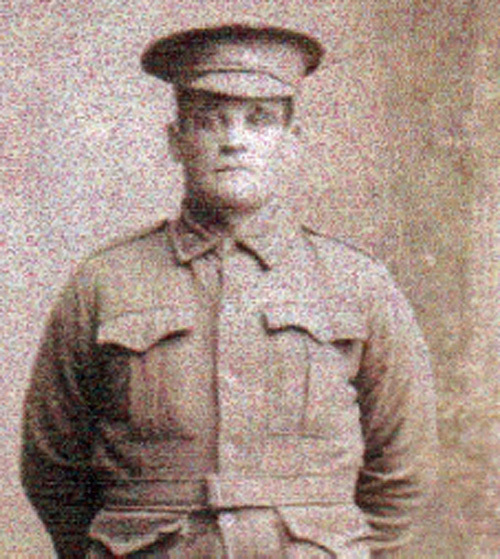 3-John James Patience was born on 25 Oct 1889 in Bothwell, Tasmania. John married Ruby May Gore, daughter of Thomas William Gore and Mary Ann Shea, in 1910. Ruby was born on 7 Mar 1888 in Hobart, Tasmania and died on 19 Oct 1964 in Tweed heads, New South Wales at age 76. 3-Elsie Lillian Patience was born on 26 Feb 1892 in Bothwell, Tasmania. 2-Mary Ann Patient was born on 14 Mar 1859 in Bothwell, Tasmania and died on 4 Aug 1923 in Bothwell, Tasmania at age 64. Mary married John Horn on 15 Aug 1885 in Bothwell, Tasmania. John was born about 1856. 2-Ellen Patient was christened on 3 Nov 1860 in Bothwell, Tasmania and died on 3 Apr 1861 in Bothwell, Tasmania. 2-Aaron John Patience was born on 5 Feb 1864 in Bothwell, Tasmania and died in 1940 in New South Wales at age 76. Aaron married Ada Emily Smith on 23 Jan 1889 in Bothwell, Tasmania. Ada was born on 25 Mar 1868 in Bothwell, Tasmania and died in 1945 in New South Wales at age 77. 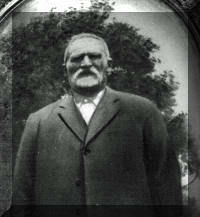 William Aaron’s father, William, was a widower when he married Nancy Harrison in Bothwell on 7 July 1879. He was a labourer and she was a shepherd’s daughter. Their son, William Aaron, was born about 1884 in Bothwell, Tasmania, died on 12 Jul 1958 in the Alfred Hospital, Melbourne, Victoria aged about 74, and was buried on 14 Jul 1958 in Springvale Crematorium Victoria. William married Clara Ellen Pilcher, daughter of John Pilcher and Esther Christiana Richards, in 1916 in Sydney, New South Wales. She was born in Hamilton, the neighbouring town of Bothwell and they knew each other when young. They later met in Sydney and were married, shortly before he left from Sydney for the First World War. Their marriage did not survive and after the war he returned to Tasmania. Clara was born on 3 Aug 1886 in Hamilton, Tasmania, died on 19 Feb 1969 in Ettalong Beach, New South Wales at age 82, and was buried in Point Clare Cemetery, Gosford, New South Wales. According to the electoral roll, Clara Ellen Patience lived alone in NSW from 1930 until her death in 1969. After the war Aaron retuned to Bothwell, where he had a relationship with Ada Harriett Blackwell. They moved to Victoria where they had one son: Aaron William. From around 1920 to 1925 they lived together at Eildon Weir, Albion and Rockbank in Victoria. From 1928 to 1949 William Aaron Patience lived at various locations in Victoria with Daisy Patience. No marriage record has been located. Albert James Cocker first wife, Theodora Catherine Dunn, died in 1922. Ada Harriet Blackwell returned to Tasmania shortly after 1825 with her son, Aaron William, and she married Albert James (no record has been found). Either formally or informally Aaron was adopted by James and Aaron changed his surname to Cocker. Later in life he was also colloquially known as Joe Cocker. 3-Aaron William Patience, later Cocker, was born on 10 Apr 1920 in Eildon Weir, Victoria and died on 5 Jul 2009 in Corumbene Nursing Home, New Norfolk, Tasmania at age 89. He served in the Second World War. Aaron married Eileen Joy Menzie, daughter of Archibald John Charles Menzie and Ellen Jane Woolley, on 17 Aug 1940 in St John's Church, Plenty. Eileen was born on 11 Apr 1920 and died on 16 Jul 1993 in Glenorchy, Tasmania at age 73. They had five children: Roger, William John, Stephen, David and Charles. 4-William John Cocker was born on 29 Jan 1943. William married Sheila Rosemary Tolmie in 1965 in Glenorchy, Tasmania. Sheila was born on 27 Oct 1938 in Quirindi, New South Wales. They had three children: Anthony John, Amanda Ellen Jane and Rachael. 5-Anthony John Cocker was born on 6 Aug 1966 in Calvary Hospital, Hobart, Tasmania. Anthony had a relationship with Unknown They had one daughter: Unknown. 6-Unknown Cocker was born before 1990. Anthony next had a relationship with Tanya Louise (Myers) Barton. Tanya was born on 8 Mar 1968 in Hobart, Tasmania. They had one son: Alycia May. 6-Alycia May Cocker was born on 14 Feb 1991 in Queen Alexandra Hospital Hobart, Tasmania. Alycia had a relationship with David Coleman They had one daughter: Febi Jade. 7-Febi Jade Coleman-Cocker was born on 3 Feb 2008 in Queen Alexandra Hospital Hobart, Tasmania. Anthony married Melissa Jayne Cooper on 29 Oct 1994 in 4 Spring St., Claremont, home of John & Sheila Cocker. Melissa was born on 8 Jul 1973 in Calvary Hospital, Hobart, Tasmania. They had four children: Aaron William, Corey Anthony, Samuel Douglas Wayne and Shannon Grant. 6-Aaron William Cocker was born on 12 Feb 1995 in Queen Alexandra Hospital Hobart, Tasmania. 6-Corey Anthony Cocker was born on 21 Apr 1996 in Queen Alexandra Hospital Hobart, Tasmania. 6-Samuel Douglas Wayne Cocker was born on 24 Jul 1997 in Queen Alexandra Hospital Hobart, Tasmania. 6-Shannon Grant Cocker was born on 23 Oct 1999 in Queen Alexandra Hospital Hobart, Tasmania. 5-Amanda Ellen Jane Cocker was born on 23 Aug 1968 in Queen Alexandra Hospital Hobart, Tasmania. Amanda married Jim Orr. They had two children: Juanita and James. 6-Juanita Orr was born before 1991. 6-James Orr died on 5 Oct 1992. 5-Rachael Cocker was born on 23 Sep 1973 in Queen Alexandra Hospital Hobart, Tasmania. Rachael married Adrian Kean. Adrian was born on 22 Aug 1970. They had five children: Crystal Joy, Brittney, Jacob Thomas, Jett and Shelby. 6-Crystal Joy Kean was born in Apr 1991. 6-Brittney Kean was born in Dec 1992. 6-Jacob Thomas Kean was born on 12 Nov 1994. 6-Jett Kean was born about 2005. 6-Shelby Kean was born about 2006. 2-Georgiana Blackwell was born on 4 May 1879 in Hamilton, Tasmania. 2-Elizabeth Mary Blackwell was born on 28 Aug 1881 in Hamilton, Tasmania. 2-Arthur Albert Blackwell† was born on 10 Oct 1883 in Hamilton, Tasmania and died serving his country in the First World War on 16 Sep 1916 in Somme sector, France at age 32. 2-Walter John Blackwell was born on 7 Mar 1886 in Brighton, Tasmania and died on 6 Dec 1928 in Gretna, Tasmania at age 42. Walter married Florence Ilinde Speed, daughter of Alfred George Speed and Rosannah Kuban, on 4 Jun 1907 in Holy Trinity Church, Hobart, Tasmania. Florence was born on 15 Sep 1888 in Plenty, Tasmania and died on 1 Nov 1963 at age 75. (In 1941 she would marry Albert James Cocker) They had at least seven children: William George Alfred, Rosina Florence, Daphne Ethel Irene, Mary Mildred Holder (Olga), Violet Nancy May, Doreen Laura and Percy Ellis. 3-William George Alfred Blackwell was born on 16 Sep 1908 in Plenty, Tasmania and died in 2001 in New Norfolk, Tasmania at age 93. William married Lorna Christina Mary Stocks. Lorna was born on 5 May 1913 in Molesworth, Tasmania and died in 2008 at age 95. 3-Rosina Florence Blackwell was born on 10 Jun 1910 in Shooters Hill. Rosina married James Edward Tubb. James was born on 13 Jan 1905 in Sorell Creek, Tasmania and died in 1985 in New Norfolk, Tasmania at age 80. 3-Daphne Ethel Irene Blackwell was born on 3 Aug 1912 in Macquarie Plains, Tasmania. 3-Mary Mildred Holder (or Olga) Blackwell was born on 28 Oct 1914 in Plenty, Tasmania. 3-Violet Nancy May Blackwell was born on 5 Sep 1916 in Upper Plenty, Tasmania. 3-Doreen Laura Blackwell was born on 6 Aug 1919 in Gretna, Tasmania and died on 7 Aug 2000 at age 81. Doreen married Leonard Harris in 1935 in Tasmania. Leonard was born on 8 Apr 1919 in Kellevie and died on 5 Jun 1944 in Tasmania at age 25. 3-Percy Ellis Blackwell was born on 8 Feb 1924 in Tasmania and died in 2009 at age 85. Percy married Ira Francis Mary Rogers. Ira was born on 19 Jun 1923 and died about 1997 aged about 74. 2-Louisa Blackwell was born on 28 Nov 1887 in Hamilton, Tasmania. 2-Alice Blackwell was born on 26 Nov 1888 in Hamilton, Tasmania.